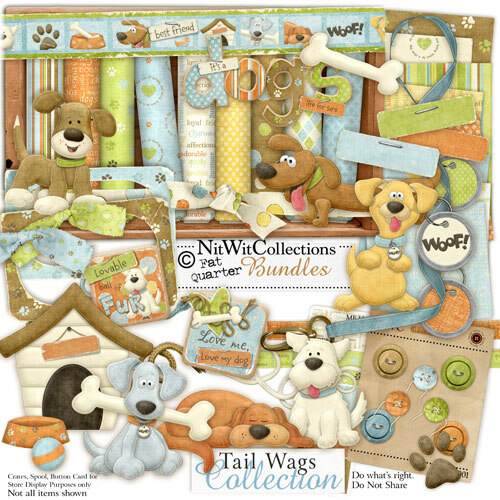 My "Tail Wags" Collection is yet another in this series! Okay so it's probably not much of a secret but I love dogs! hahahahaha Yup... some of my finest memories are ones that were spent in the splendid company of canine companions! This kit is dedicated to all the dogs that have warmed my heart with their tail wags, face licks, and general good humour! It's full of lots of pooches and all the wonderful things that go along with them! Hope you are lucky enough to be loved and to love a fine furry friend too! 1 border element with the stars of the kit!